Property taxes are typically the single largest expense associated with holding commercial real estate. Property taxes can comprise as much as 40 percent of a commercial property’s operating expense. 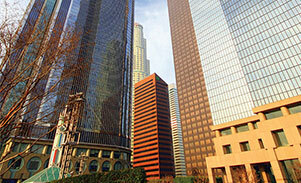 Property taxes are typically the single largest expense associated with commercial real estate. They comprise as much as 40 percent of a property’s operating expense. Unlike typical operating expenses that are determined through vendor negotiations and contracts, property taxes are based on a government entity’s opinion of value. Our team has extensive national experience in reducing real and personal property taxes for commercial office, retail, and other medical related clients nationwide. Lower property taxes will directly correlate to improved annual operating performance and an enhanced property sale price.